The automatic series peanut/ groundnut oil extraction machine which includes heating, expelling and filtering in one machine is advanced models from the screw type oil press machines. Added motor, vacuum filters, heater and electric control cabinet, the peanut/ groundnut oil extraction machine is automatic and can extract oil efficiently and easily! This model of peanut/ groundnut oil extraction machine is able to control the processing temperature automatically as well as both cold and hot extrusion. Vacuum filters is used to filtrate the crude peanut/ groundnut oil which comes out from the groundnut oil extraction machine, and the electric control cabinet helps control extraction speed and temperature. All these assistant parts help the extraction process with higher output. 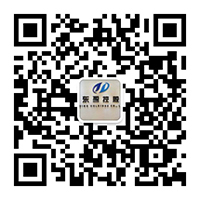 Only one machine, you can get better edible oil. 2. Single reduction gear box with helical gears of cast steel. Capacity: 8 -10 Ton per day (24 hours). Capacity differs from material density & quantity of oil in the seed. 1. Double reduction Gear Box of Cast Iron body and Steel Casted Gears. 2. The Machine has to be stopped for Adjusting the Cake Thickness. 3. Case hardened worm assembly and cone point. 4. Main Worm Shaft can be withdrawn without disturbing the Gear Box. 5. Crammer Shaft gives extra cramming of the Seed or Cake in the Feed Body. 6. Superior quality of Oil & Cake. 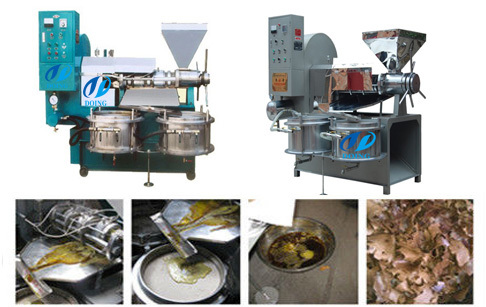 We have manufactured peanut/ groundnut oil extraction machine and other cooking oil press machine for 40 years, and we have been updating the technology of it. Weclome to contact us, and our engineer will give you a professional suggestions. 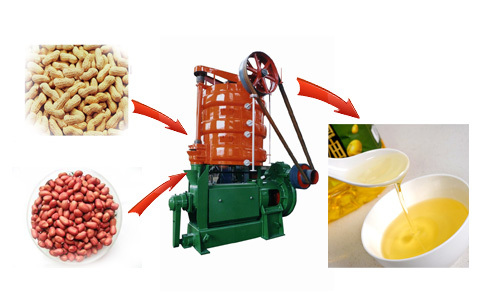 If you wanna to get more details about Peanut/ groundnut oil extraction machine you can send E-mail to market@doinggroup.com. You can consult our professional engineer and specialized sales team with leave a message in below form.We will contact with you ASAP.You also can visit our factory in Henan,China.Get Detailed address.